Enjoy the freedom of exploring the Dalmatian coast with you and up to 7 other guests on this Oceanis 40. 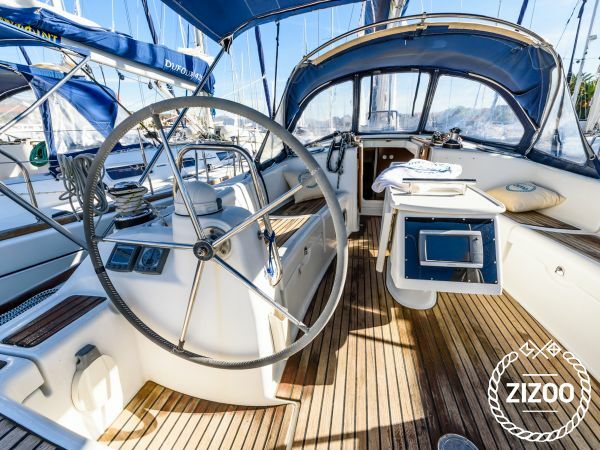 Spacious, bright and family-friendly, this Oceanis 40 is an ideal cruiser for your yacht charter holiday in Trogir. The Oceanis series by Beneteau is one of the most popular charter yachts worldwide. The Oceanis 40 is comfortable and easy to handle without compromising style and elegance. You’ll love relaxing on the deck or at the bow as you pass by the stunning coast of Dalmatia. Make your way to the nearby Dalmatian islands from Trogir’s historic marina and discover some of Croatia’s most beloved World Heritage Sites on your boat trip in Trogir. Requested 112 times this week!